The moment a server is connected to the Internet, it’s at risk. Automated port scanners will start probing for vulnerabilities. Botnets will come calling, pounding on login pages seeking weak passwords, often looking for a vulnerability so that they can use the machine for sending email spam loaded with malware. On a long enough timeframe, without proper management, a server is likely to be hacked. Servers are a complex combination of many different moving parts — securing them is not easy unless you have the right tools. 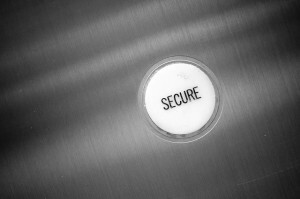 A control panel that makes it easy to configure and run a server securely is essential. I’d like to discuss a few of the ways that the InterWorx Control Panel contributes to the safety and security of your servers and sites. InterWorx includes comprehensive spam and antivirus protection. Incoming email is scanned for virus signatures. Spam is detected using using configurable Bayesian scanning, and is blocked according to up-to-date global white and black lists. Not everyone who works on your server or sites needs to be able to be given the keys to the kingdom. InterWorx provides an email-based multiple user login system with granular permissions, as well as a reCaptcha protected login interface to stymie those brute force bots. cPanel and DirectAdmin do not have multi-user login systems with configurable permissions. cPanel, Plesk, and DirectAdmin lack reCaptcha capabilities. To manage your server’s security, you need to know what it’s doing. Most hackers want long-term access to a system; they don’t want to be found. They’re sneaky but telltale signs will give away the presence of malicious software and uninvited users. InterWorx’ graphical real time usage statistics and intuitive log viewer can help spot unusual patterns of resource use. Ideally, you’ll keep your root password close to your chest or have root logins deactivated. That makes your server more secure but it also makes it hard for you to get support. The secure remote assistance feature allows InterWorx users to give access to support staff without compromising security by allowing root logins. cPanel and DirectAdmin lack this feature. InterWorx includes features that give administrators complete control over the command line environment. They are able to disable shell users, view all current logged-in shell users and their command history, and terminate any active shell session. These are just a few of the ways that InterWorx makes it easy to you to manage your servers and keep your and your client’s sites safe. Take a look at our comprehensive comparison of web hosting control panels for more details.